Palma de Mallorca offers modern and traditional gastronomical variety, from fine dinning, excellent local Mallorquine cuisine, tapas bars, seafood speciatlies, wonderful seasonal and local food markets and Michelin Star restaurants. 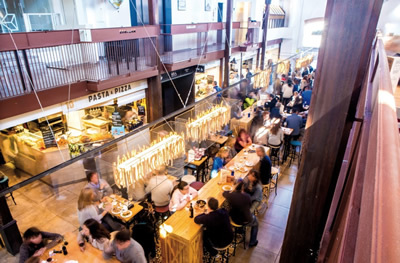 The Llotja area is located in Palma's old town, amongst its narrow streets there are restaurants with a huge variety of tapas, locally caught fish and seafood and an international selection of cuisine... great for an evening stroll. In the old fisherman's quarter of Santa Catalina there are a selection of restaurants, cool bars, and chilled cafe’s all with a late night scene.. At the heart of this area is the Santa Catalina market, a popular culinary meeting place, with a great reputation for gourmet produce alongside eateries serving a choice of world fare from sushi to street food, often with a marine theme due to their proximity to the harbour. Set in contemporary stylish surroundings, Simply Fosh is housed in the beautiful 17th century boutique Hotel Convent de la Missió in the old town of Palma. Marc Fosh's extraordinary Mediterranean Cuisine is light and modern, with an emphasis on clean flavours and seasonal ingredients. 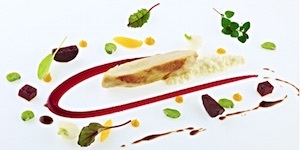 At lunchtime they offer a reasonably priced set menu and in the evening their gastronomic offer is exclusively composed of three tasting menus that represent their cooking style and philosophy. 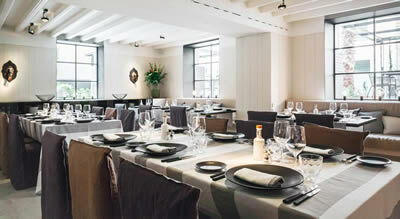 Born in Buenos Aires with Majorcan family, he is passionate about the island and its cuisine. He has worked at La Cuisine de Marie-Blanche de Broglie in Paris, Quo Vadis, the famous Marco Pierre White restaurant in Soho, London and with Marc Fosh before spending a decade creating fine dining in some of the best restaurants in Moscow. Adrian returned to Mallorca to offer his enriched, expert and international gastronomic vision with Mediterranean produce and inspiration . Haute cuisine for everyone. 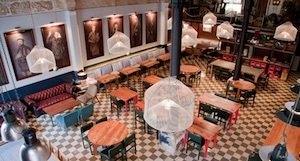 The Patron Lunares canteen plays homage to the history of Santa Catalina, the fishermen and sailors who for many centuries have sailed the Mediterranean. A stunning modern take on the traditional, using historic fishing items, paintings, local textiles and local pottery to set the scene. Using the best of the local fish and seafood, local mallorcan organic meats and vegetables, showing off the wealth of ingredients on the Island, and letting the ingredients speak for themselves.. 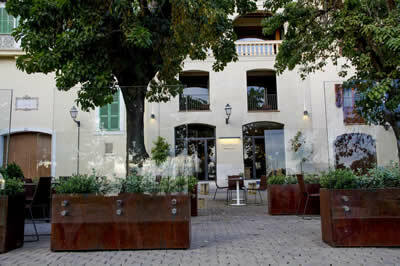 The Sadrassana restaurant & cocktail bar is housed in a nineteenth-century Majorcan manor house located in the picturesque Sa Drassana square in Palma’s old quarter. 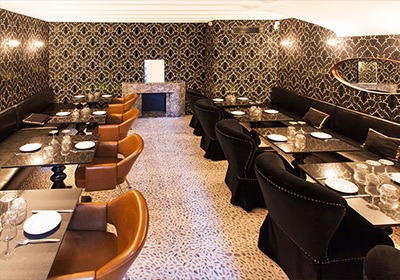 This restaurant has a reputation as a meeting place for film directors, actors, musicians, writers, and artists, and was featured in the BBC's television series ' The Night Manager'. 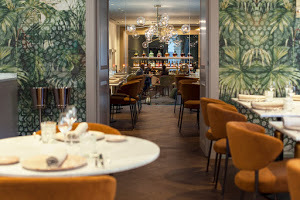 The stunningly converted 5 Star Boutique Hotel Sant Jaume's Michelin star restaurant serves a modern take on Mallorcan cuisine, where ingredients from the Balearic Islands take centre stage, led by Tomeu Caldentey, the first Majorcan Chef to be awarded with a Michelin star. A specialist wine selection meant to evoke a journey through aromatic notes from Mallorca and the Balearic Islands with the ultimate aim of harmoniously marrying with each dish. 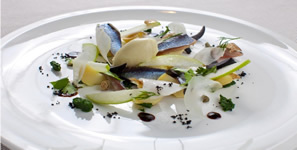 Within this beautiful converted Palace of the 5* Sant Francesc Boutique Hotel, Alfonso Lillo's Quadrant restaurant produces fine cuisine with the greatest of care. 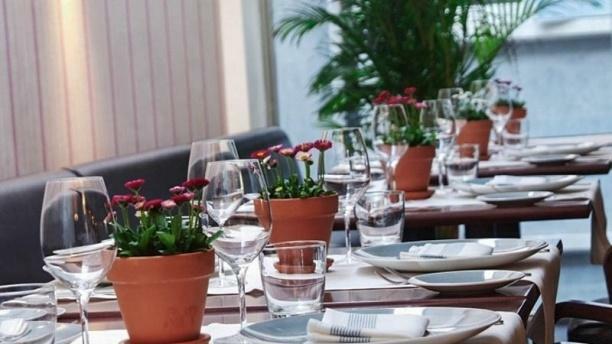 Located in the former stables of the palace, the restaurant can be reached directly from the square 'Plaza de Sant Francesc'. The cuisine is inspired by the culinary traditions of the Mediterranean with just a hint of modern flair. 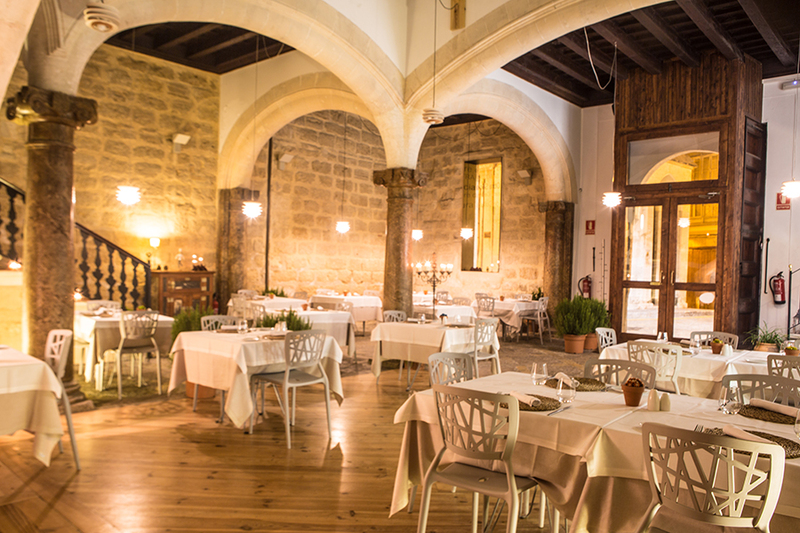 The Posada Terra Santa hotel in the centre of Palma have converted this unique, charming and beautiful 14th century space into restaurant La Despensa del Barón. A list of exquisite tapas and main meals are available, and can be enjoyed here on the central patio. 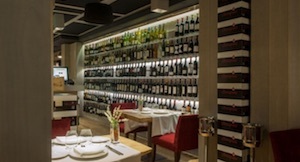 A modern Spanish dining room displaying an extensive wine collection for the wine connoisseur. Using quality local produce with a contemporary twist, Joselito Iberian ham, local Mallorcan porc negre and an enticing range of speciality tapas and local seafood..
A full and varied menu prepared with seasonal and local ingredients of the highest quality. 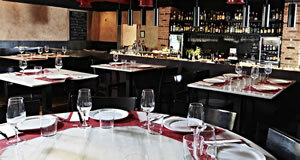 All dishes are a modern take on authentic recipes rooted in Mallorcan and Spanish cultures. 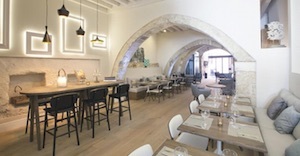 Misa is located next to Marc Fosh's flagship restaurant, Simply Fosh in the beautiful 17th century boutique Hotel Convent de la Missió in the old town of Palma.